The lab then investigated whether the photosynthesising surface of the algae balls had a biological "clock" or circadian rhythm. 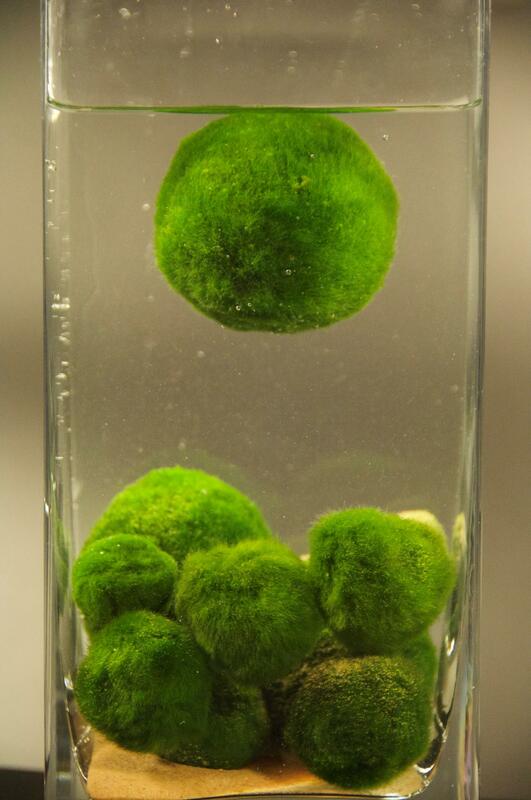 PhD student Dora Cano-Ramirez, lead author of the study, said: "Unfortunately, marimo balls are endangered, being currently found in only half the lakes where they were once spotted. "This might be caused by changes in light penetration due to pollution. By understanding the responses to environmental cues and how the circadian clock controls floating, we hope to contribute to its conservation and reintroduction in other countries." Japanese botanist, Takuya Kawakami, from the Sapporo Agricultural College (now Hokkaido University) first discovered the green algae aggregates in the bay of Lake Akan and named them "marimo" in 1897. Marimo from Lake Akan were designated a Natural Monument of Japan in 1921, and Special Natural Treasure in 1952 which started the conservation efforts on these so called "mysterious creatures" because most of its physiology and ecology are still unknown.